While visiting my sister a couple of weeks ago, she gifted me with a couple Clinique items that she received as part of a gift with purchase offer at a Clinique counter. I received the Dramatically Different Moisturizing Lotion +, Lash Doubling Mascara, and the Chubby Stick Moisturizing Lip Colour Balm in Mega Melon. Since these products weren't really up her alley she offered them to me, and of course I couldn't refuse. Thanks, sis! I have never really had the chance to explore Clinique's skincare and beauty offerings, so I was super excited to give these a try. 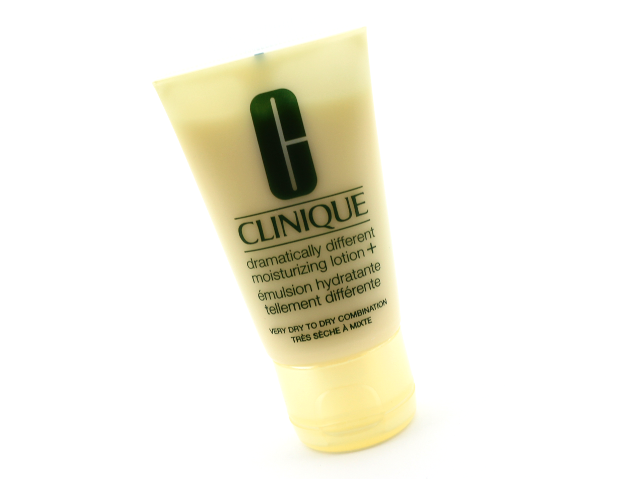 Dramatically Different Moisturizing Lotion +: This facial moisturizer is a cult classic, and many love it. I really wanted to love this moisturizer but unfortunately, this didn't quite work out for me. I have combination skin (dry cheeks, oily t-zone) and I found that this moisturizer made me look super oily. This felt heavy on my skin, and I think this was the culprit to a few breakouts. If your skin is really dry and not super sensitive like mine, this moisturizer would probably suit you better than it did me. Lash Doubling Mascara: My lashes naturally have some length to them, but they are pretty much non-existent without the help of a good mascara. Clinique's Lash Doubling Mascara really surprised me. It does wonders for lengthening, lifting, and defining my lashes. This doesn't do too much for me in the volume department, but I don't mind layering a volumizing mascara over this to pump up the effect. I love the tapered brush. It effortlessly separates and coats every single one of my lashes with mascara. 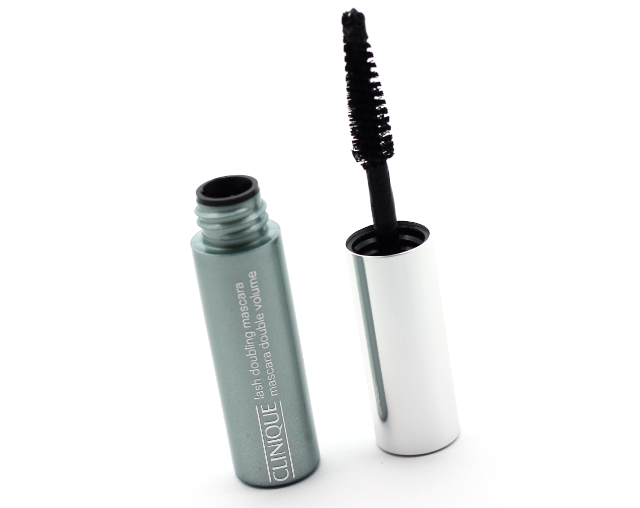 If you are looking for a good lengthening and defining mascara that packs a punch, definitely check this one out! Chubby Stick Moisturizing Lip Colour Balm in Mega Melon: Mega Melon is a lovely rosy peach that goes on like a dream. 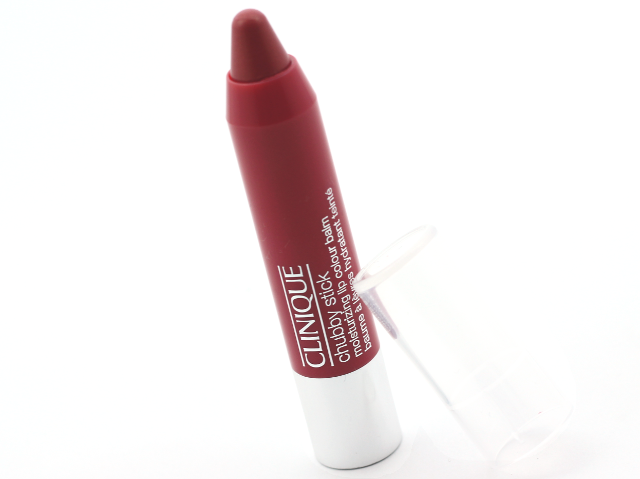 It has a smooth, creamy texture, and it feels super moisturizing on the lips. The color is a little sheer, but buildable. Mega Melon is one of those colors that would look amazing on everyone. It's easy to wear, and it pairs well with many eye looks-from neutrals, to smokey. Although the moisturizer didn't work out for me, I really enjoyed the mascara and the lip balm. Those two are definitely items that are worth a closer look. I don't know why Clinique's products never called out to me before, but that's totally going to change. I am going to browse Clinique's beauty section next time I stop by a counter. The eyeshadows, and blush colors look darling! 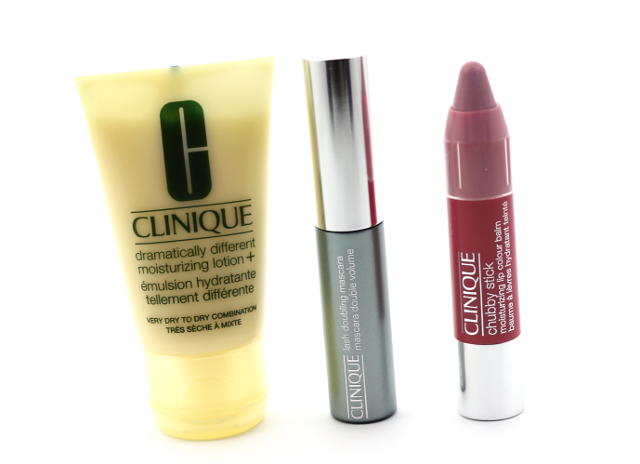 Which are your favorite Clinique products? Any recommendations? Disclaimer: This post contains items that were gifted to me. For more information, please visit my disclosure page. I am so glad to hear that you are loving the mascara, Joanna! It really is awesome! I say this all the time but your photos are amazing!